Koshe Garbage Landfill is the only landfill site in Addis Ababa. Hundreds of people live in the shadow of the dump’s mountains of trash. Their communities are on the landfill itself. Hundreds of people, adults and children, work on sides of those mountains of trash. On Saturday, March 11, one of the mountains of trash in the Koshe Garbage Landfill collapsed. As of today’s count, 115 corpses have been pulled out from the rubble. 75 of them were women. Of the initial 35 who were pulled out, almost all were women and children. Now the streets are filled with the wailing of women. Ethiopians demand answers. We all should. Many will ask what happened? What causes garbage mountains to collapse? What caused this particular mountain of trash to collapse? Urban development? Construction? “A simple failure of an oversteepened slope”? What causes garbage mountains to grow? Who builds a city in which hundreds of people spend their lives as scavengers, climbing, descending and burrowing into mountains of trash? What happened Saturday in the Koshe Garbage Landfill? What happened, as well, to women and children? How is that slightly over 65% of the dead are women and children? How is that human stampedes and urban garbage landslides have the same toxic gender mathematics of mortality? What does it mean that women and children are the sacrifices to the human forces that built and build landfills choked by ever-rising mountains of trash? The planet of slums has produced a global archipelago of garbage mountains on which mostly women and children work and live. And in that brave new world, there is never a surprise that when the mountains collapse, as they regularly do, the overwhelming majority of the dead are women and children. There was no accident in the Koshe Garbage Landfill last Saturday; there was instead a planned massacre of women and children. Ethiopians demand answers. We all should. Emebet Mono Bezabh worked for two years as a live-in maid working for the head of the U.N. World Health Organization (WHO) in Thailand. According to her reports, the diplomat and his wife regularly beat and starved her. They made her sleep with the family dog, and they treated her as “less than an animal”, which is to say they treated her like a slave. On Monday, an out-of-court settlement between Emebet Mono Bezabh and her `employers’ was reached. A year ago, today, we wrote about Erwiana Sulistyaningsih, an Indonesian domestic worker in Hong Kong who was beaten and starved almost to death. Erwiana Sulistyaningsih explained, “My case was finally exposed because of the unity of the migrant workers’ movement in Hong Kong. I am happy that through my case more such cases of exploitation are being exposed and given more attention. I hope that both—the sending as well as receiving governments– will give more attention to the protection of migrant workers. I hope there is no more exploitation against migrant workers, against women and no more cases like me”. Emebet Mono Bezabh’s case was finally exposed through the unity of the women’s movements in Thailand, where she was supported by the Foundation for Women, Human Rights and Development Foundation and the Lawyers Council of Thailand. That was the story last year, it’s the story this year, and it most likely will be the story next year, same time: the solidarity of women workers breaking through the chains of domestic hyper-exploitation, violence, oppression, and slavery. There is no room to be surprised, yet again, by the violence of domestic workers’ employers. It’s time to recognize the histories of struggle by domestic workers, in unions and associations, in courts and on the streets. Women workers’ ongoing and historic struggle for emancipation and power is the story. Pass it on. The World Bank is still bad for women, children, men, and all living creatures. While not surprising news, it is the result of a mammoth research project carried on by the International Consortium of Investigative Journalists and their partners. Journalists pored through more than 6000 World Bank documents and interviewed past and current World Bank employees and government officials involved in World Bank funded projects. They found that, in the past decade, an investment of over 60 billion dollars directly fueled the loss of land and livelihood for 3.4 million slum dwellers, farmers, and villagers. That’s a pretty impressive rate of non-return, all in the name of modernization, villagization, electrification, and, of course, empowerment. Along with sowing displacement and devastation, the World Bank has also invested heavily in fossil-based fuels. All of this is in violation of its own rules. Women are at the core of this narrative, and at every stage. There’s Gladys Chepkemoi and Paulina Sanyaga, indigenous Sengwer who lost their homes and houses, livestock and livelihoods, and almost lost their lives to a World Bank-financed forest conservation program in western Kenya’s Cherangani Hills. In 2013, Bimbo Omowole Osobe, a resident of Badia East, a slum in Lagos, lost nearly everything to a World Bank funded urban renewal zone. Osobe was one of thousands who suffered “involuntary resettlement” when Badia East was razed in no time flat. Today, she’s an organizes with Justice and Empowerment Initiatives, a group of slum dwellers fighting mass evictions. Aduma Omot lost everything in the villagization program in Ethiopia, a World Bank funded campaign that has displaced and demeaned untold Anuak women in the state of Gambella. In the highlands of Peru, Elvira Flores watched as her entire herd of sheep suddenly died, thanks to the cyanide that pours out of the World Bank funded Yanachocha Gold mine, the same mine that Maxima Acuña de Chaupe and her family have battled. The people at ICIJ promise further reports from India, Honduras, and Kosovo. While the vast majority of the 3.4 million people physically or economically displaced by World Bank-backed projects live in Africa or Asia, no continent goes untouched. Here’s the tally of the evicted, in a mere decade: Asia: 2,897,872 people; Africa: 417,363 people; South America: 26,262 people; Europe: 5,524 people; Oceania: 2,483 people; North America: 855 people; and Island States: 90 people. The national leaders of the pack are, in descending order: Vietnam, China, India, Ethiopia, and Bangladesh. It’s one giant global round of hunger games, brought to you by the World Bank. None of this is new. In 2011, Gender Action and Friends of the Earth reported on the gendered broken promises of the World Bank financed Chad-Cameroon Oil Pipeline and West African Gas Pipelines: “The pipelines increased women’s poverty and dependence on men; caused ecological degradation that destroyed women’s livelihoods; discriminated against women in employment and compensation; excluded women in consultation processes; and led to increased prostitution … Women in developing countries have paid too high a price.” The bill is too damn high. There’s the impact on women of ignoring, or refusing to consider, unpaid care work in Malawi, Mali, Niger, and Rwanda, and the catastrophic impacts on women of World Bank funded austerity programs in Greece. And the list goes on. 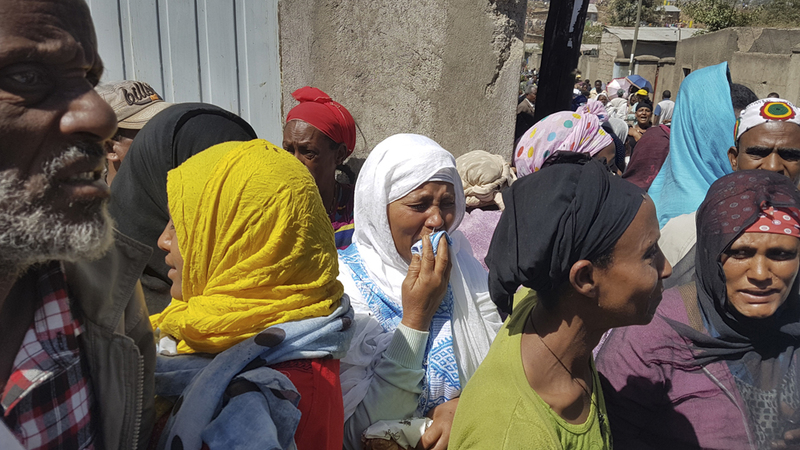 The Oakland Institute released a major report today, We Say the Land is Not Yours: Breaking the Silence against Forced Displacement in Ethiopia. The report is comprised of oral testimony of individuals who have been violently displaced by the Ethiopian government’s ongoing villagization program. The Ethiopian government says it hopes to `resettle’ as many as 1.5 million people, all in the name of development … and direct foreign investment. Three years ago, Human Rights Watch released a major report, “Waiting Here for Death”: Forced Displacement and “Villagization” in Ethiopia’s Gambella Region. Villagization is “the clustering of agropastoral and/or shifting cultivator populations into more permanent, sedentary settlements.” Families and communities that have lived on the land for centuries are “resettled” into “permanent” settlements. Settlements, bantustans, locations, encampments, prison colonies … you choose. What is clear in the miasma of scare quotes is that the years’ long campaign in “resettlement” benefits only foreign investors and their State clients. In Gambella, in the westernmost part of Ethiopia, whole swaths of semi-nomadic, indigenous Nuer and Anuak people and communities have been targeted for “resettlement”, to “free” their land up. The Nuer and the Anuak have been moved, often at gunpoint and worse, to `new’ and `modern’ villages, where there’s little to no food, farmland, healthcare, or educational facilities. Ultimately, the plans are for 70,000 to be removed, out of a population of some 300,000. When Human Rights Watch reported on these forced removals, it was removed from the country. Likewise, the Ethiopian government has charged that the Oakland Institute is campaigning to perpetuate people’s poverty. Where are the women in Gambella, and in villagization more generally? Everywhere and nowhere. In general, the news media ignores the gender implications of villagization and mass forced resettlement. The Oakland Institute has long argued that women and children have a particularly dire space in this program. Both Human Rights Watch and the Oakland Institute found that the new relocation sites, the “villages”, lacked schools, clinics, and running water, and so their infrastructure, in its lacks, targeted and condemned women to further hardships. Meanwhile, concentrating the land in the hands of a very few large-scale producers has meant the end of women dominated small hold farming, which means greater food insecurity, deeper and wider hunger, and impossibly greater amounts of unpaid and uncounted labor for women, as cash crops displace local food crops. A woman refugee in Kenya tells her own story: “During the relocation, I was given a piece of land. I moved because I was forced. We had to build the tukul, our new home, ourselves. This does not mean we are content with it. According to our Anuak customs, we share everything. Our home country treats us as if we have no use, even though we were born and raised here. Our great-great-grandparents were there. We have suffered so much at the hands of the Ethiopian regime. After the villagization program, I was … sent for training. The main purpose of our training was to show us what the investors are doing and how they are cultivating our lands. We have seen only help for the investors. We were taken early morning and were brought back in the afternoon. Thirty minutes were given to eat lunch and we were not even provided water. We saw our lands worked by the others. At every step, the story of villagization is particularly a women’s story: “We need our voices heard.” The women are speaking. Who is listening? On April 25 and 26th, the Ethiopian government arrested nine writers, six of whom are members of Zone 9. In Addis Ababa’s notorious Kaliti prison, Zone 9 is where political prisoners end up. 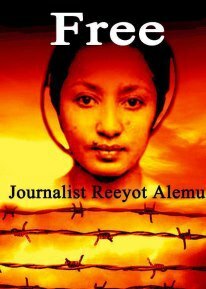 Reeyot Alemu has been there for over 1000 days, for the crime of having written essays and articles critical of the government. Now, members of Zone 9 sit in Zone 9. For over 80 days, the nine writers were held without any charges, or better, under “informal accusations”. This past week, they were hastily charged with various forms of terrorism, under the anti-terrorism law passed in 2009. Freelance journalist Edom Kasaye and blogger Mahlet Fantahun will join Reeyot Alemu in the women’s section of Kaliti. A third woman, Soliana Shimeles, was also charged with terrorism, but she’s outside of the country. The Zone 9 writers’ slogan, and rallying cry, is “We blog because we care!” What do the writers care about? The truth. The end of censorship, lies, and suppression. The right to write. This week, Ethiopia charged ten writers with the terrorist act of writing, just writing. The rest is fog and mirrors. 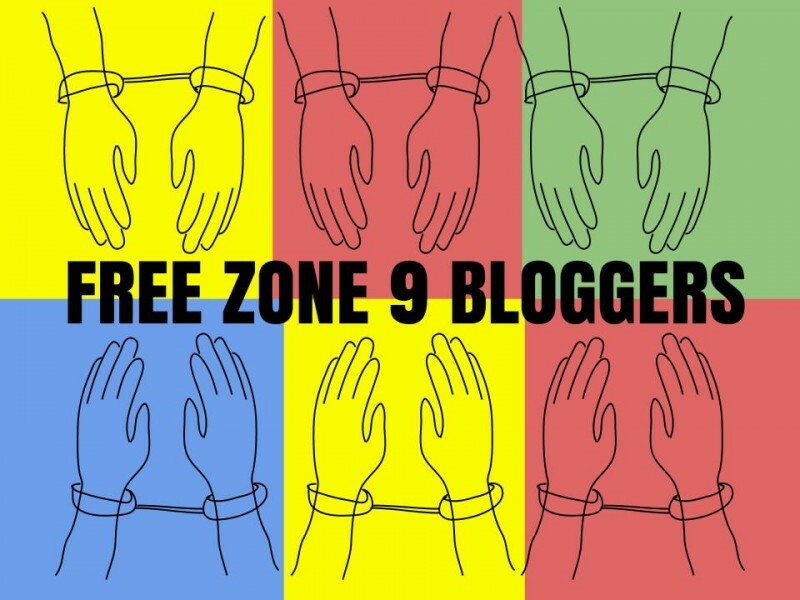 The imprisonment of the nine writers, and charges against ten, is part of an Ethiopian story, as the name “Zone 9” suggests. At the same time, it’s part of a global assault against writing, all writing, under the guise of anti-terrorism. What was once particular to Gordimer’s South Africa or Ngugi’s Kenya or Paolo Freire’s Brazil or Angela Davis’ United States is now a coherent global regime. In that context, thinking of the ten writers charged with terrorism, thinking of Reeyot Alemu and so many other imprisoned writers, it’s time to ask, “Can pens still flow ink instead of blood?” Whose name today is hope? Sunday, March 16, marked the 1000th day Reeyot Alemu spent in an Ethiopian prison, the notorious Kaliti Prison, for the crime of writing critical news pieces. Alemu followed a path similar to that of Ngugi wa Thiong’o in Kenya, Paulo Freire in Brazil, Ruth First in South Africa, Angela Davis in the United States, and so many others. That is, she is a teacher who was called upon to write. Nothing heroic. Just write. Write the news. Write the facts. Write the analyses. These acts of writing qualify as terrorism in Ethiopia (as they do in much of a world covered by interlocking Wars on Terror). In Reeyot Alemu’s case, her terrorism was to focus on poverty, inequality, corruption, and gender inequality, or, more precisely, women’s rights and the oppression of women. For that, she was initially sentenced to fourteen years in prison. The sentenced was then `reduced’ to five years. Since the UNESCO award, it appears that life has grown even more difficult for Alemu. Her visitors have been restricted. At one point, she was only allowed to see her parents and a priest. Her fiancé and her sister have both been prohibited from seeing her. In September, Reeyot Alemu was on hunger strike. Alemu’s family says she is living with breast cancer, and the prison is refusing her medical treatment. Reports suggest that the State has paired Alemu with a “tormentor”, a prisoner whose job is to make another prisoner’s life a living, and dying, hell. When Alemu is not in the living hell of her cell and cell mate, she’s in the torture hell of solitary confinement. Some, such as the Committee to Protect Journalists, have broadcast Alemu’s case, but in general the media has remained silent. Why? Have the abusive and abysmal conditions of Kaliti Prison become the new normal? Has the abuse of journalists and teachers become beside the point? Is the War on Terror so much a part of the global everyday that the struggle of one woman to address the conditions of women and the corruptions of State become just so much collateral damage? Some suggest that Ethiopia’s anti-terrorism law, passed in 2009, was actually forced upon the nation by the United Nations. While that’s doubtful, it is the case that in passing the law, and entering into the global prison regime, Ethiopia joined the 21st century’s league of nations. The pedagogy and the literature of the oppressed will emerge from the prisons of the world. One day, Reeyot Alemu will teach us that the voiceless are not voiceless. They are working and giving birth to new batches of freedom songs, and to new practices of justice. Meanwhile, today, Monday, March 17, 2014, marks day 1001 of Reeyot Alemu’s imprisonment. Tell someone … now. In 2012, the G8 launched the New Alliance for Food Security and Nutrition, which, controversially, gave agribusiness a seat at the African farming table, right next to governments and aid donors. Agribusiness had always been there, but now the arrangements of hand holding and pocket filling would be formalized. Despite promises of the `new’, transparency around the arrangements did not increase. If anything, the world of African food security and nutrition transactions became murkier. This week The Guardian ran a series of articles on the New Alliance. Many see the Alliance as colonialism with a neoliberal face. First, the aid processes become increasingly privatized and imbedded into the workings, and failings, of markets. Second, the contractual and policy decisions are not only made behind closed doors, they’re made in settings that prohibit any direct involvement of smallholder farmers. Neither the Alliance nor The Guardian seems to care that smallholder farmers in Sub-Saharan Africa are overwhelmingly women. What’s not new here? Millions of women workers rendered invisible … again. The Guardian reported on Malawian smallholder farmers being kept in the dark on Malawi’s commitments; on Tanzanian smallholder farmers’ concerns that the new alliance will only turn them into cheap labor for the new, large farming corporations; and on Ghanaian smallholder farmers’ mixed reactions. The Guardian doesn’t mention or quote any women smallholder farmers. According to a recent report, Israel has been administering Depo-Provera to Ethiopian women without any informed consent. At present, it’s estimated that thousands of Ethiopian women are receiving regular shots. The women never consented to receiving this highly controversial treatment. Many were never told that the shots are contraceptive, and questionable contraceptives at that. The Ethiopian women started receiving `the treatment’ in the so-called transit camps in Ethiopia. Exactly who originated the program and who runs it now, from the camps in Ethiopia to the clinics in Israel, is under investigation. Some women say they were told, in the camps, “No shot, no Israel.” Others say they were told it’s a flu shot. At one level, this news is not new. In 2008, a day care center director noticed a sharp decline in the numbers of Ethiopian children. She went to the nearby clinic and was informed the clinic had been “had been instructed to administer Depo Provera injections to the women of child-bearing age.” They were merely following instructions. The most recent `discovery’ occurred in December of last year, thanks to a documentary made by Sava Reuben, a woman of Ethiopian origin. Reuben has been in Israel since 1984. The `nation’ was shocked. Outcry ensued. What is the price of a permanent State of emergency? Ask the Ethiopian women in Israel. They’ll tell you. Elderly? Disabled? Far from home? Afraid? Have we got a jail for you! There are two stories concerning Lemlem Hussein Abdu. One is the story of the State. The other is her story. Here’s the story of the State: are you an elderly disabled woman seeking asylum? If you are, have we got a prison cell for you! But there’s more. Almost immediately after caging you, we’ll send you `home’ to the very people and State that burned your village and killed your family. You’re welcome. Lemlem Hussein Abdu is a 62-year-old woman living with disabilities, applying for asylum in the United Kingdom. She is, significantly, a resident of Sheffield. “Lemlem was born in 1950 in what is now Eritrea. 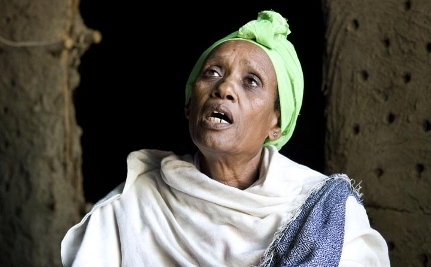 In 1978 her village was burned down and her entire family was murdered during an attack by Ethiopian forces. Her family and neighbours were targeted due to their support for the Eritrean Liberation Front (ELF), which was fighting for independence from Ethiopia. Lemlem fled to Sudan and then subsequently to Saudia Arabia, where she obtained a position as a domestic worker. In 2000, Lemlem’s employers visited the UK and took her with them. Lemlem had a fall and injured herself when looking after the family’s children and has never fully recovered. Her employers stopped paying her wages as she could no longer carry out some heavy physical tasks. Then, in 2007, on a subsequent visit to the UK, the family abandoned her, with no money and no identification. Lemlem is unable to return to Eritrea due to her affiliation with the ELF, which is persecuted by the government there. The United Nations has called on all countries to cease returns of asylum seekers to Eritrea due to the severe human rights abuses that have been committed against returnees. Lemlem claimed asylum but has been refused. She is not allowed to work and receives no support, so has to rely on short-term help from a local charity, help which is now running out. Despite her difficult position, Lemlem has a positive outlook. She is working hard to improve her English and is an active and well-loved member of her local community in Sheffield. Last Tuesday, Lemlem went to initiate new asylum proceedings. She was immediately rejected and transported to Yarl’s Wood. She was told to prepare for a flight Sunday night to Ethiopia. 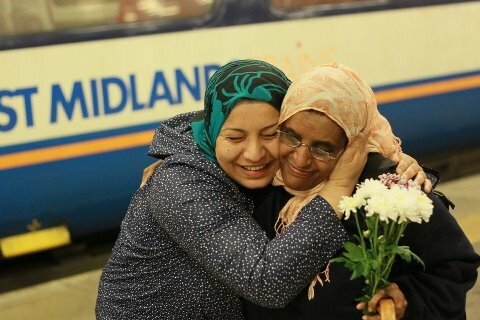 Sheffield is a City of Sanctuary, the first such city in the United Kingdom. When Lemlem was carted off, the people of Sheffield – Lemlem’s friends, neighbors, supporters and also those who hadn’t known her previously – organized, protested, marched, and obtained a bit of a reprieve. Today, Tuesday, there’s a meeting with the Home Office. Absolutely terrified to the core. That is the sum total of an asylum policy that sees prison and deportation as the normative response to vulnerability and pleas for assistance. A policy that places so-called national security over human needs fills the human heart with absolute terror. March 30 is International Domestic Workers’ Day. Around the world domestic workers, overwhelmingly women, work to clean households, cook, mend, care for children, for elders, for the sick, for those with disabilities. Around the world, domestic workers, millions upon millions of women and girls, travel to or wake up in other peoples’ homes and take care of their employers’ emotional well-being. Around the world, domestic workers organize and struggle with denial of payment, denial of social security, unpaid extended workdays, mistreatment, exploitation, abuse. So, when Ai-Jen Poo, of the National Domestic Workers Alliance, wishes her sisters happy international domestic workers’ day, the wish is as aspirational as it is of the present moment. It’s as hopeful as it is courageous. Alem Dechasa-Desisa’s life story demonstrates that all too well. On March 8, a video started circulating. The video showed a young Ethiopian woman, presumed to be a domestic worker, pleading for help outside the Ethiopian Embassy in Beirut, Lebanon. A car pulls out. Men jump out, attack the young woman, kick her, knock her to the ground, and worse, and then force her into the car and disappear. All this was caught on video and then shown on Lebanese television news. Later it was reported that the young woman was indeed an Ethiopian domestic worker, Alem Dechasa-Desisa, 33 years old. She was from Addis. She was the mother of two children. She arrived in Beirut in December 2011, less than three months earlier. Dechasa-Desisa was suffering. According to her employer, she was suffering a nervous breakdown. Many in Lebanon doubt that was the case. Her employer dumped her at the Embassy, who did nothing. Worse, the Embassy told the employer to take Dechasa-Desisa to a mental health hospital. Take her anywhere. Take her away. When the police found the young Ethiopian woman, they took her to the immigrant detention center, with the intention of deporting her. She cried so much she was taken … to a mental health hospital. Two days later, she was dead, by hanging. Suicide. Structural homicide. Alem Dechasa-Desisa was dead. The video shocked Lebanon. The video shocked Ethiopia as well. The death of Alem Dechasa-Desisa disturbed Europe as well, and received some mention in the United States. But what exactly is the shock, the scandal? The abuse of domestic workers is systemic. The abuse of transnational, migrant workers is, if possible, even more systemic. This new form of a very old situation is intensified by nationalism, racism, sexism. It is also intensified by the structurally induced greater vulnerability of the transnational migrant domestic worker. More often than not, she is a live-in worker. Her `home’ is her employer’s home. Live-in for a transnational migrant worker means more than being on-call 24 hours a day, although that would be bad enough. It means the worker is homeless. If she’s kicked out … there’s no place to go. If she leaves, there’s no place to go. Her very being on the street becomes a criminal act. All domestic workers struggle with exploitation and abuse. All domestic worker struggle with the absence of any real possible response to exploitation and abuse, other than personal resistance. They know that no State will aid them. Quite to the contrary. For transnational domestic workers, it’s worse. The vulnerability of the transnational domestic worker is intensified by the reliance of the home country on the money earned and sent home by the workers who have traveled to richer countries. The home countries also rely, heavily, on the absence of those workers, the reducing of pressures to employ them. The home country needs its workers in other countries and it needs them `to behave’. The Ethiopian Embassy responded to Alem Dechasa-Desisa’s pleas. It closed its doors. Women domestic workers define their own lives differently. Hard work. Advancement. Struggle. Shared laughter and tears. Yesterday, Friday, March 30, 2012, was International Domestic Workers’ Day. Remember and recognize Alem Dechasa-Desisa and her sisters. Honor them as builders, as the women who have built the everyday lives of the entire planet, and support their organizing efforts. Happy International Domestic Workers’ World!